On Canadian Thanksgiving, I was invited to a radio interview with Bruce Williams on CFAX to discuss gravy-making, the best potatoes for mashing, my personal pie-threshold, and other important details of the Big Turkey Dinner. We also discussed Brussels sprouts. two) several people phoned in to ask if my recipe was on the blog. My method is to parboil halved sprouts, then brown them cut side down in garlic butter. 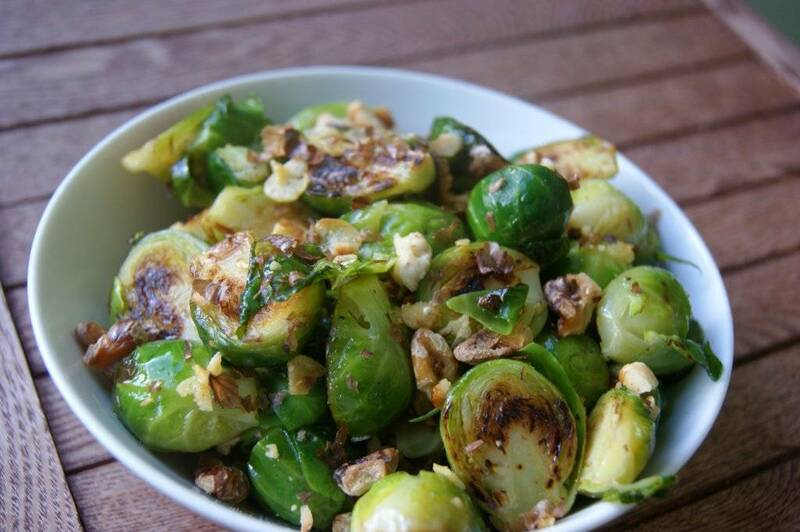 Once they are all browned and nutty, the sprouts are tossed with the remaining garlic butter and roasted walnuts. Crisp garlic is crumbled over the top. So delicious! 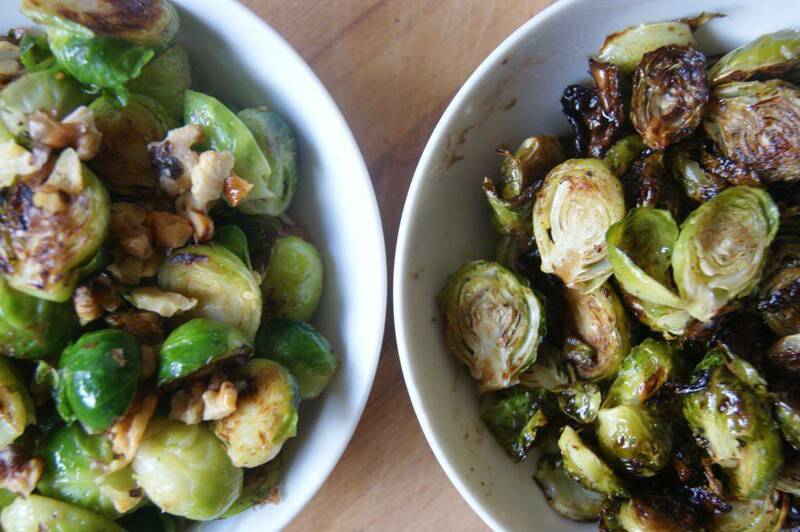 I have converted several people from the Brussels sprouts hating camp with this recipe. Bruce’s method is to cut the sprouts into three or four lengthwise slices, toss with olive oil, salt, and pepper, roast in one layer on a baking sheet for 20 minutes, then toss the sprouts while they are still warm with some balsamic vinegar. Also sounds pretty good, but garlic and walnuts win out every time, amiright? Not that I am biased at all. So, I made each recipe with a pound of sprouts in the same morning and tasted them side by side. Both were fantastic. 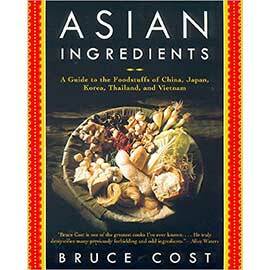 BUT, even with my bias, I have to admit the Bruce’s Brussels sprouts recipe won out by small margin. Not only did his sprouts taste nutty and bright, they were also much easier and quicker to make than mine. Not that I am repudiating the Fink family sprouts recipe at all, but I might be willing to admit that I *might* use Bruce’s recipe at Christmas. IF my sister will let me (she is exceptionally attached to the garlic-walnut version of things). Both recipes are included below, to give you a chance to try whichever one suits your fancy. Happy Thanksgiving! PS – Bruce, this shall not be our last recipe duel. PPS – BLOG READERS: EXCITING NEWS! Keep a careful eye on the blog over the weekend. A new post is coming soon about the next Great Rancho Vignola Giveaway, with information on where you can find the very best walnuts for this, and other, recipes. Browned Brussels sprouts, garlic butter, and toasted walnuts elevate this much-maligned vegetable to a new level of deliciousness. 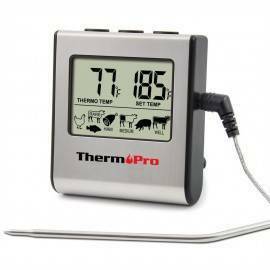 Preheat oven (or toaster oven) to 350°F. Place walnuts on a rimmed baking sheet and roast in the oven for about 6 to 8 minutes, stirring a few times, until fragrant and toasted. Remove from oven and let cool. Use your fingers and hands to break the walnuts up into smaller pieces. Set aside. Bring a large pot of water to a boil. Meanwhile, rinse Brussels sprouts and trim off any brown or yellow outer leaves. Cut Brussels sprouts in half through the stem (lengthwise), unless very tiny. Add a teaspoon of salt to the boiling water and drop in the prepared Brussels sprouts. Simmer for about 2 to 5 minutes, until sprouts are bright green and just barely tender. Drain immediately and spread out on a baking sheet or tray to cool. Meanwhile, peel and slice the garlic. Mix the garlic with the butter in a small pot. Heat over medium or medium-low heat for several minutes, until the butter has melted and the garlic has turned golden (be careful not to burn the garlic!). Strain the butter, saving both the butter and the garlic separately. Heat a large sauté pan over medium-high heat. Turn the heat down to medium, add the butter and place the pre-cooked Brussels sprouts in the pan cut side down. Cook, without moving the sprouts, for several minutes, until the cut side of each sprout is a beautiful dark golden brown (lift a few up to check their bottom sides). If using whole tiny sprouts, flip them once during cooking to brown both sides. As the sprouts brown, remove them to a pre-heated serving dish. Once they are all in the dish, add whatever butter remains in the pan, along with the toasted walnuts, golden garlic slices (crumble the garlic a bit, if you wish) and salt and pepper to taste. Stir to mix everything together. Taste for seasoning and serve immediately. Fink Family Brussels Sprouts may be kept warm in a low oven for up to 30 minutes. Equally delicious, with a brighter note than the Fink family recipe above, and much easier to make. 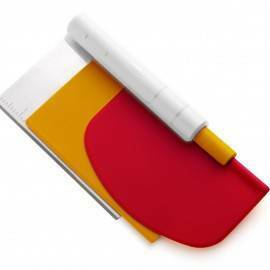 Preheat oven to 425 F. Cover a large baking sheet with parchment paper. 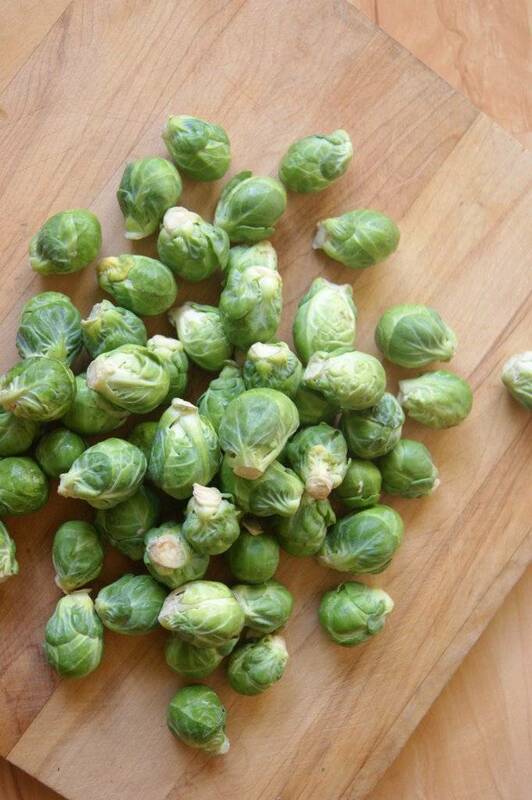 Rinse Brussels sprouts and trim off any brown or yellow outer leaves. Cut sprouts lengthwise through the stem into 3 or 4 lengthwise slices (depending on size of sprouts. Very tiny sprouts can be cut in half. Some small leaves will fall off and that’s OK. Place the cut sprouts and fallen leaves into a bowl and toss with the olive oil, salt, and pepper. Spread out in a single layer on the baking sheet and place in preheated oven. Roast for 20 to 25 minutes, stirring once during cooking time, until sprouts are browned and smell nuttily delicious. Remove from oven and immediately drizzle sprouts with the balsamic vinegar, starting with one tablespoon and tasting as you go. 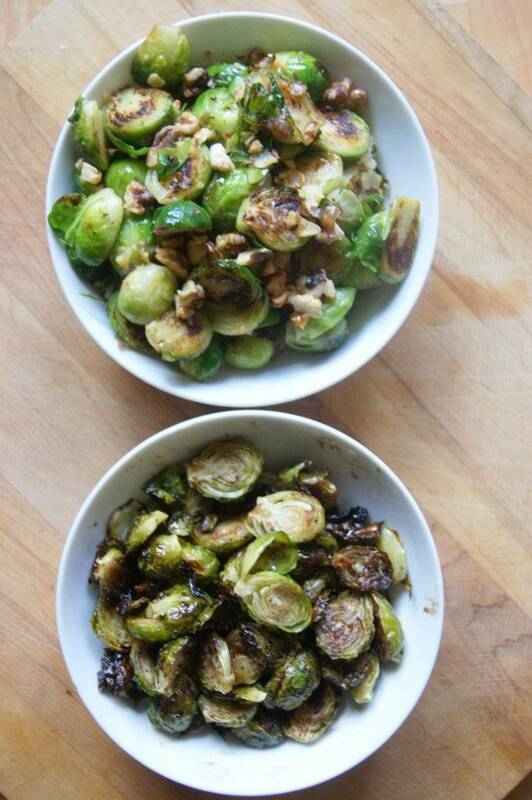 Mix the sprouts well on the baking sheet, so that the sprouts are coated with the balsamic. Season with additional salt and pepper, if necessary, to taste, transfer to a preheated serving bowl and serve immediately. 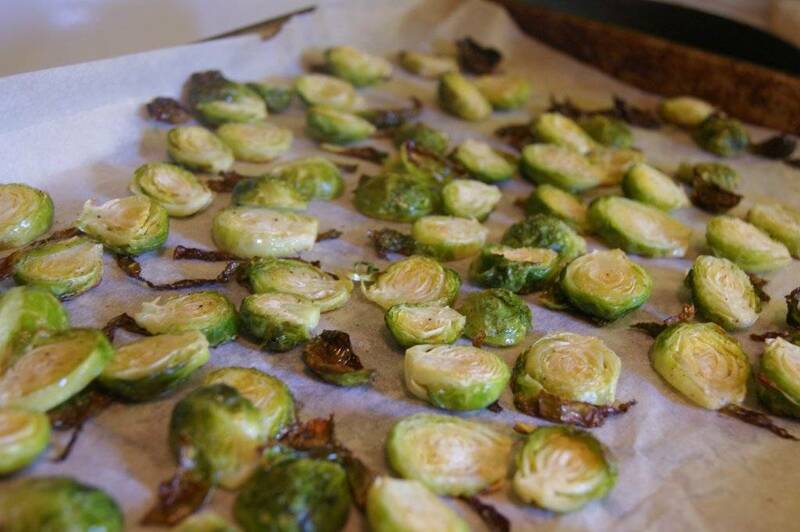 Bruce Williams’ Brussels sprouts can be kept warm in a low oven for up to 30 minutes. 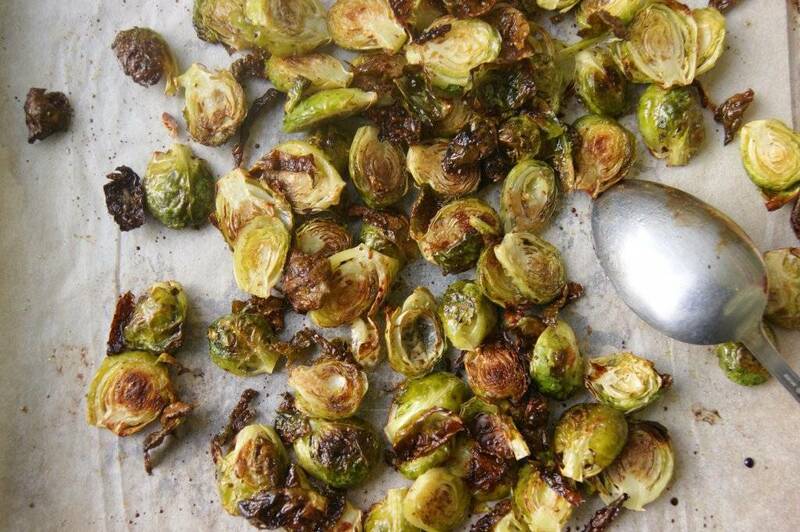 I make something very similar to Bruce’s recipe but toss in a bunch of red grapes with the Brussels sprouts before roasting, it’s a huge hit with everyone who has tried them!